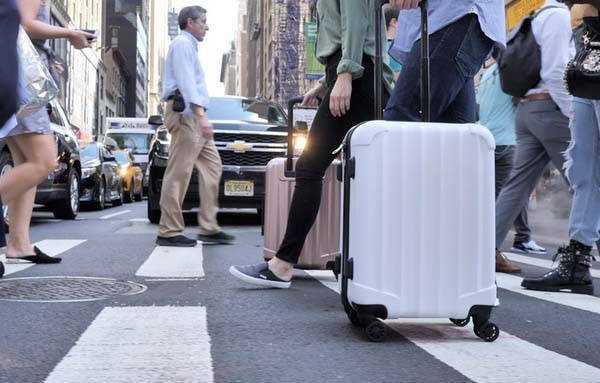 Genius Pack Supercharged carry-on luggage delivers a removable power bank and two integrated USB ports to charge your mobile devices during any travel. Need more features? Let’s keep checking. 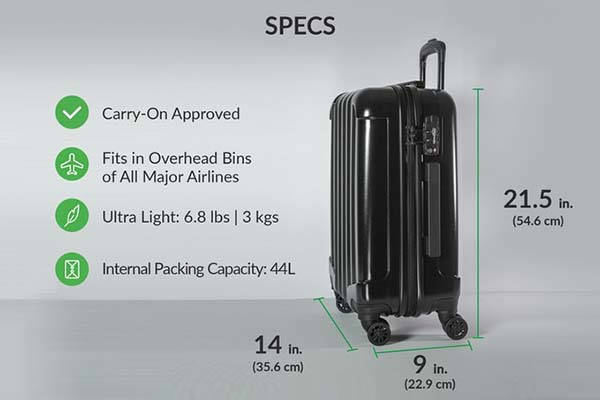 The Supercharged is a multi-functional and practical carry-on that measures 21.5 x 14 x 9 inches and weighs 6.8 lbs. 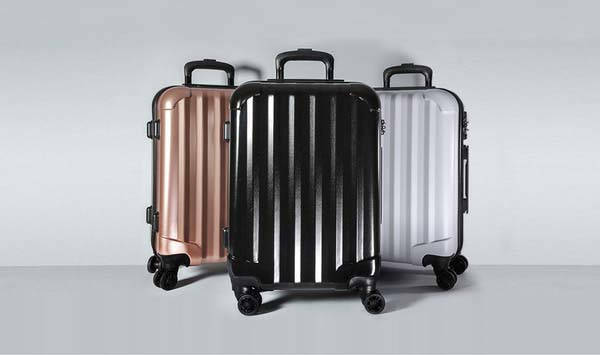 As we can see from the images, the luggage shows off an elegant and sophisticated appearance design with three classic color options: black and white, so it always carries your travel items in style.The 8 360-degree spinner wheels allow for an effortless glide. Meanwhile, the external shell is made from 100% polycarbonate, and the corners have been reinforced to withstand impacts and shocks. The surface is scratch and stain-resistant to recover the perfect look by simply giving it a wipe. The carry-on luggage comes equipped with two USB ports and a removable 10,000mAh portable power bank. Using your own charging cable or an included all-in-one cable with Lightning and microUSB connectors, you can effortlessly charge your mobile devices via the luggage. Furthermore, the interior of the luggage features category compartments to keep your belongings organized in place. Built-in garment look can be used to hang your clothes, and its compression straps keep your contents snug and secure. Moreover, the secluded laundry compartment keeps the dirty clothing separated with clean clothes. The integrated TSA combination lock ensures it secretly holds all your travel items in place. In addition, it also features 100% aircraft grade anodized aluminum handle and optional compression packing cubes. The team behind Supercharged is raising fund for the product on Kickstarter. We can pledge $219 to preorder the carry-on luggage. It will be shipped in May 2019.